'The Normans came in from the sea and coal came down from the hills. 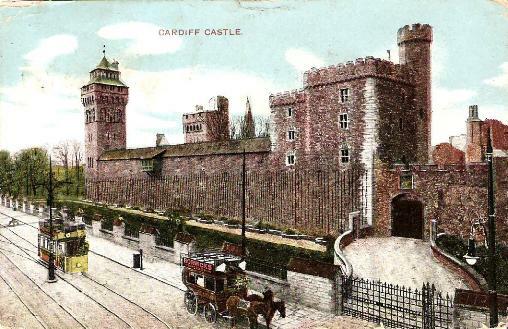 The coal made even more money than the Normans, and a gaggle of cottages around a huge castle became a city which has at last managed to get itself recognised as the capital of Wales.' (Gwyn Thomas, 1964:135). Cardiff (Caerdydd in Welsh) is situated in the ancient cantref (hundred) of Cibwr in the former county of Glamorgan. In 1801 it was a small town with a population of just 1870, but by 1859 it had grown to 36,000 and 85,378 by 1881. The Romans had a coastal fort in Cardiff as early as AD50, with a much larger structure built around AD260 along similar lines to the Saxon Shore forts on the South and East coasts of Britain (Mattingly, 2007). Based on the Roman fort (caer names in Welsh indicate Roman fortifications), the town was the centre of power of the Welsh prince Morgan ap Hywel ap Rhys around 900 AD. It was subsequently destroyed and then rebuilt by Iestyn ap Gwrgant, the last native prince of Morgannwg, in 1080. After employing Robert Fitzhamon and other Norman soldiers in a dispute with Rhys ap Tewdwr, Iestyn was overthrown by Fitzhamon. Fitzhamon replaced the wooden Welsh castle with a stone version, some of which remains in the castle rebuilt by by the Marquesses of Bute betwee the 18th and 20th centuries. 'Stage-coaches ran from country places into towns, and many of thse vehicles were to be seen in Cardiff on Saturdays, and sometimes on Mondays, until twenty-five years ago. They were well known. 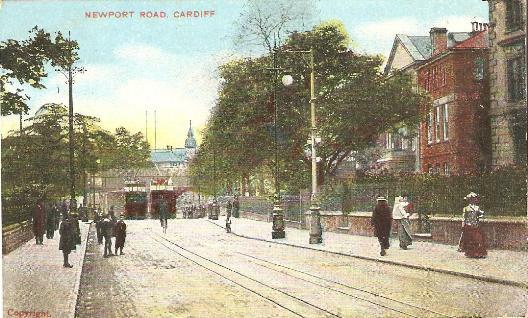 There were Pob-joy's 'bus, that ran between Newport and Cardiff, twelve miles; Macey's 'bus, that plied between Llantwit Major and Cardiff, a distance of eighteen miles; and in addition to these were the 'busses from Pontypridd, Llantrisant, Treforest, and other places. The last of the old 'busses going into Cardiff were Pob-joy's and Macey's. 'Then there were the carriers who conveyed heavy goods to and from the towns before the trains came. The last of these old carriers was known as Robin o'Roos. 'The 'busses were supplanted but not superseded, so far as shelter is concerned, by the modern brake or waggonette. Even now from many remote districts, carriers convey passengers and goods to the large towns. On Saturdays, and from some neighbourhoods on Mondays, these carriers are to be seen on the highways of Wales. All kinds of vehicles are called into requisition. There are market-cars, each capable of being crowded with six persons, heavily-laden wagogons, washed and unwashed waggonettes, and brakes with well-groomed or totally ungroomed horses. As for the castle itself, Thomas considers that the 'steady residence of the Butes in this pile has given it a lived-in, manorial touch' - even if it now belongs to the City Corporation. Mattingly, David (2007) An Imperial Possession: Britain in the Roman Empire, 54 BC - AD 409 (The Penguin History of Britain), Penguin. Sikes, Wirt (1881) Rambles and Studies in Old South Wales, Sampson Low, Marston, Searle, & Rivington. Thomas, Gwyn (1964) A Welsh Eye, Hutchinson. Trevelyan, Marie (1893) Glimpses of Welsh Life & Character, John Hogg.